The Chilling Adventures of Sabrina, available on Netflix Friday, October 26, dives into this trope, ripping it open to build something more radical. It’s no longer enough to say “every woman is a witch.” Now, we must truly consider what it means to be a woman and what it means to be a witch. What is the cost of either identity, and what are its accompanying obligations? The teens of Sabrina—witch and human, girl and gender nonconforming—have a message: If magic isn’t used for justice, then it’s not witchcraft. Sabrina (Kiernan Shipka) is a half-witch, half-human girl who must choose whether she wants to live in the world of witches or mortals by her sixteenth birthday, when she’s expected to participate in her “dark baptism” and pledge her soul to the devil. As she approaches her birthday, Sabrina becomes more and more frustrated by the trials of the human world. Her gender nonconforming friend Susie (Lachlan Watson) is bullied by four football players, and when the situation escalates to physical assault, their school principal refuses to question the athletes, suggesting instead that Susie “find another school.” Sabrina has some magical abilities (she can cast spells with the help of others), but lacks the knowledge and experience to harness them in an attempt to solve global problems like cissexism. Though choosing the world of witchcraft would grant her greater powers, Sabrina’s dark baptism would simultaneously remove her from the world she wishes to heal, leaving her disenfranchised friends to fend for themselves. Like any good witch, she wonders: What good are my powers if I can’t use them to protect the vulnerable? What are they for, if not to try and balance the scales tipped toward those in power? Rather than letting her life be ruled by the witch/mortal binary, Sabrina forges her own path—one that harnesses the magic of the margin to protect those punished for living in it. 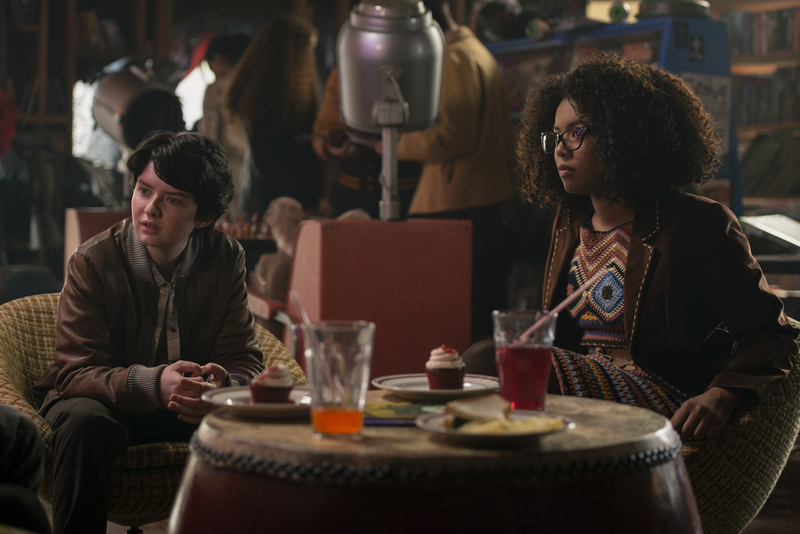 Watson, who plays Sabrina’s gender non-conforming friend Susie, tells Broadly that this theme was why he was drawn to the show, one that speaks to his own experience unlearning the gender binary. Like Lachlan, his character Susie—along with Sabrina and their friend Ros (Jas Sinclair)—found a radical feminist organization to support marginalized students, called WICCA: Women’s Intersectional Cultural and Creative Association. “If anyone messes with you again, you will have a recognized, legitimate sisterhood backing you up,” Ros tells Susie. Sabrina brings magic to her mortal high school by forming her own kind of coven with Ros and Susie, her chosen family. She uses her abilities to seek justice and empower the disempowered—like every witch should.